07:27 PM - Brandon mentioned als97cobra in post Coyote stuff! 03:40 PM - als97cobra mentioned Brandon in post Coyote stuff! 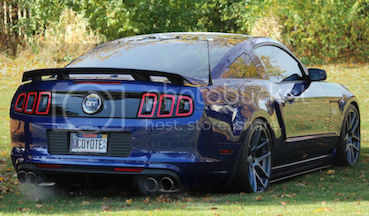 06:31 PM - Brandon mentioned SukOnDeez86 in post WTB: Roush Axleback for 2013 GT! 10:15 AM - Brandon mentioned antoniolaporte in post 2000 GT Gray Leather Seat set front and back. 11:25 AM - Brandon mentioned mustangadam68 in post 3/25 WhipFactory & JR&P x Carshype Weekly Meets! ...le cars there too! mustangadam68 was also there. 09:45 AM - Brandon quoted TAMELESS in post New Stripes on the Mustang, Should I Keep Them? Or Take Them Off? 09:36 PM - Brandon quoted VenomousDSG in post New Stripes on the Mustang, Should I Keep Them? Or Take Them Off? 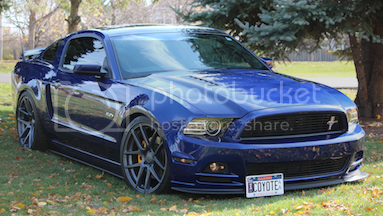 08:59 PM - 8urvtec quoted Brandon in post WTB: Roush Axleback for 2013 GT! 07:54 PM - mee14x quoted Brandon in post New Stripes on the Mustang, Should I Keep Them? Or Take Them Off?